The Voluntary Guidelines on Responsible Governance of Tenure of Land, Fisheries and Forests in the Context of National Food Security (VGGT), was developed under the Committee on World Food Security as a result of collaboration among different groups of stakeholders – governments, civil society, private sector, academia. The VGGT is intended to provide a framework for responsible tenure governance that supports food security, poverty alleviation, sustainable resource use and environmental protection. 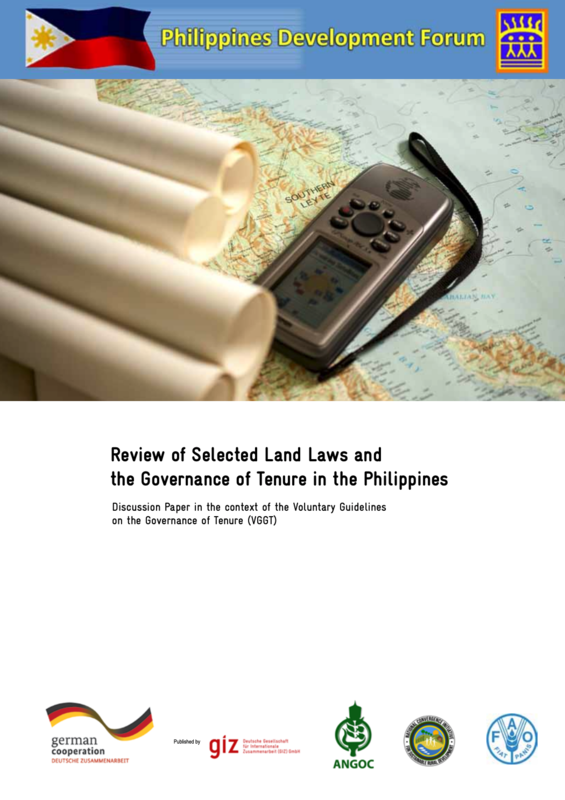 It sets out principles and internationallyaccepted practices that may guide the review, preparation and implementation of policies and laws related to land tenure & resource governance. However, the Voluntary Guidelines (VGGT) does not establish binding applications nor does it replace existing laws, treaties and agreements. Here lies the challenge. How can the Voluntary Guidelines enforce its objectives? The Deutsche Gesellschaft für Internationale Zusammenarbeit (GIZ) GmbH was formed on 1 January 2011. It brings together the long-standing expertise of the Deutscher Entwicklungsdienst (DED) gGmbH (German development service), the Deutsche Gesellschaft für Technische Zusammenarbeit (GTZ) GmbH (German technical cooperation) and Inwent – Capacity Building International, Germany.